This is a dynamic web site, dependent on continuous input from people who are active in the transportation and natural resources fields, and those who want to make a difference in the roaded landscapes across North America. We depend on site users like you to help us keep abreast of the efforts to mitigate and prevent transportation impacts on wildlife populations. We ask for your input in case studies of efforts that work in helping wildlife get to both sides of a transportation corridor (roads, rail tracks, canals, etc. 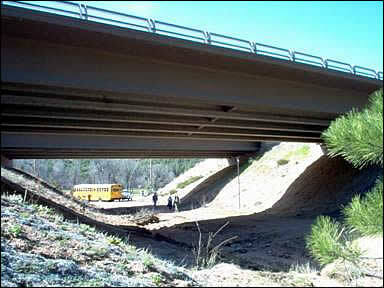 ); in telling us of a wildlife crossing that may not be in our database; and to contact us with your comments. Please see the links below for your input. Thank you.